Generate excitement at your next event. Get Corporate Magicians Danny Orleans and Jan Rose to incorporate your sales message into their magical presentation. The results will astound you. 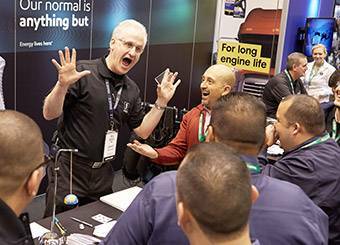 Companies in Chicago and nationwide count on them for tradeshow entertainment and to amaze customers at banquets, meetings and receptions. Get more traffic, leads and business at your exhibit booth. With Danny Orleans, you’ll increase your ROI. 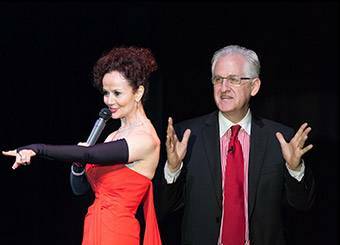 Make corporate events memorable with hilarious audience participation, baffling interactions, and mystery. Surprise and amaze your guests. 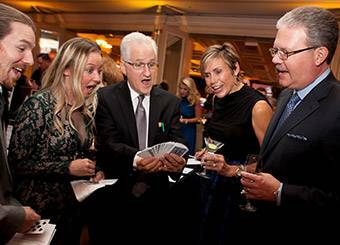 Bring Danny Orleans’ sophisticated, high-impact, up-close magic to your event. Corporate Magic tradeshow entertainment will make your product, service and company the star of the show!